Nikki and I had the pleasure of visiting the Arctic in the end of December! 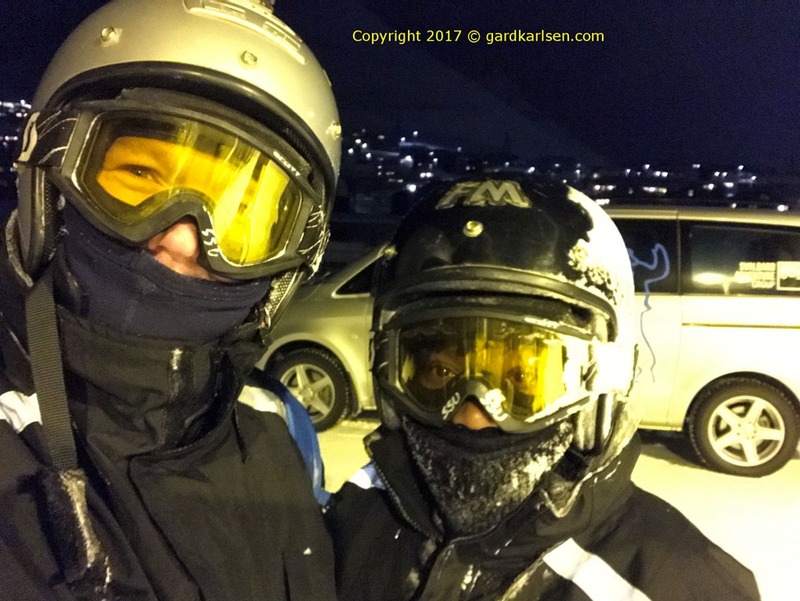 We spent New Year’s Eve in Longyearbyen on Svalbard far north of the coast of Norway. Check out the Svalbard trip report on my homepage and get in touch if you have any questions. We got to visit an old coal mine, drove on snowmobiles and went hiking in the cold – and we got to see northern lights! Here you can see more photos from Longyearbyen and I have also made this Svalbard Google map! If you want to get in touch you can reach me on gardkarlsen (at) hotmail.com.